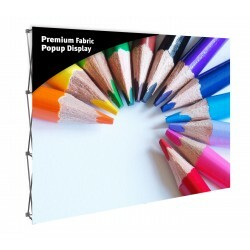 Horizon Folding Panel Trade Show Displays are quick and easy to set up, and feature a velcro receptive fabric surface in a choice of colors and textures. 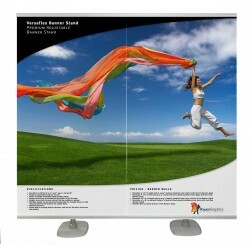 The Horizon 8 consists of eight folding panels with a graphic size 22.88" x 34.4375" and two 22.88" x 9" header. 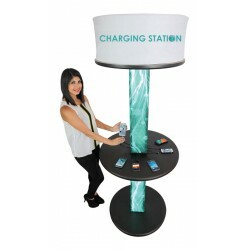 Horizon Folding Panel Trade Show Displays are quick and easy to set up, and feature a velcro receptive fabric surface in a choice of colors and textures. Available in two configurations, the Horizon is our least expensive folding panel trade show display. 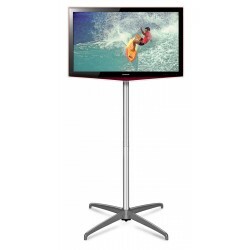 Folding panel displays are designed for graphics that attach with velcro. 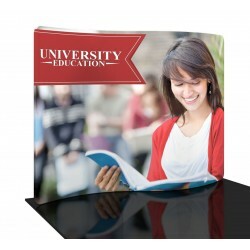 They are especially popular with schools and other organizations with small graphics that change frequently, making this style of display more cost effective than a full graphic display that would require reprinting each time any of the content needed updating. 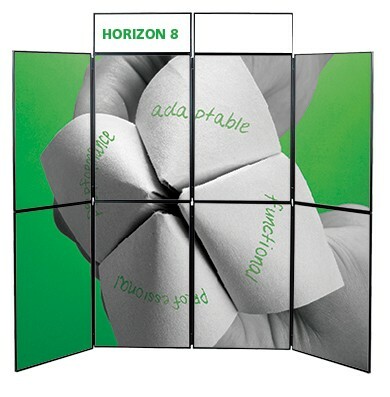 Plus, folding panel displays can be used in sections, so the top half of the Horizon 8 can be removed an used as a table top display. 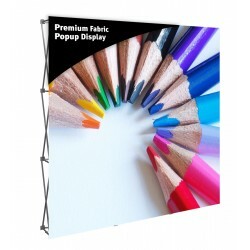 Individual graphics are available in the Related Products tab, and they are the size of a single Horizon main panel or header panel with velcro on the back so they are ready for use. 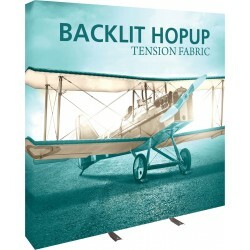 All Horizon folding panel trade show displays include a fabric carry bag. 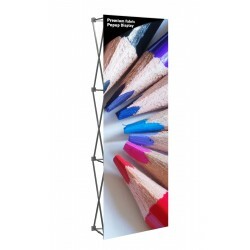 The Horizon 8 folding panel display consists of eight folding panels that each have a graphic size 22.88" x 34.4375" for a total graphic area of 91.5" x 68.875" plus two 22.88" x 9" header. Looking for a higher-end model? 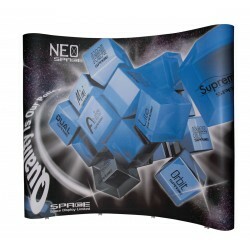 The Hero is our highest end folding panel trade show display. 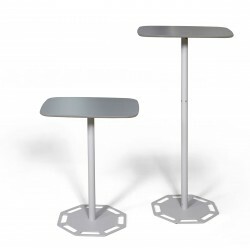 It comes in several configurations, none of which is the same size as the Horizon 6, but the Hero H-09 is the most similar in size to the Horizon 6. 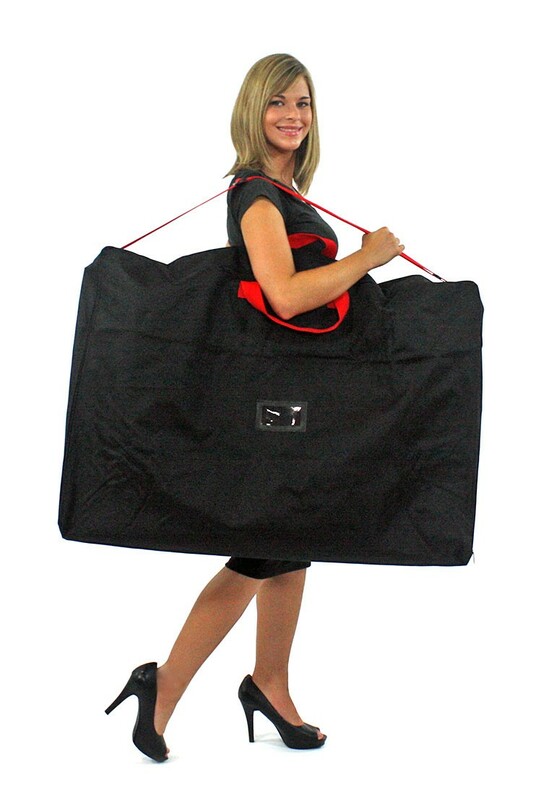 Looking for a less expensive model? 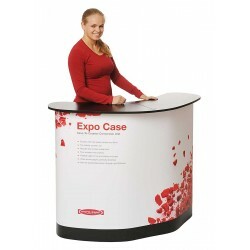 This is our least expensive folding panel table display. 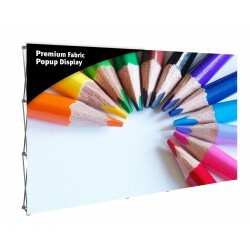 Graphics panels that cover a single panel, either the main, header or side panels, can be found in the Related Products tab. 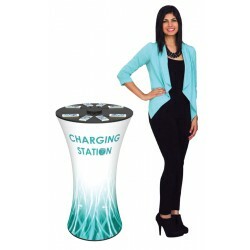 Graphic size of each main panel: 22.88" x 34.4375"
Graphic size of header panels: 22.88" x 9"
Shipping size: 36" x 26" x 8"
Graphic templates are available in pdf and eps formats. Click their icons to download them. 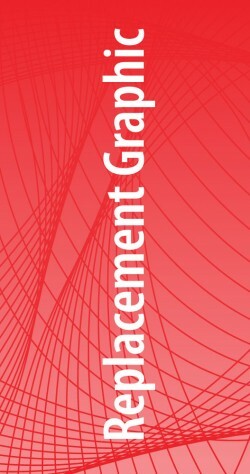 If you don't have a pdf viewing application, you can get Acrobat Reader free by clicking on the following link.